The UIP is facilitating this local initiative for CANSA so email cara@urbanmgt.co.za for details on payment / invoicing etc. 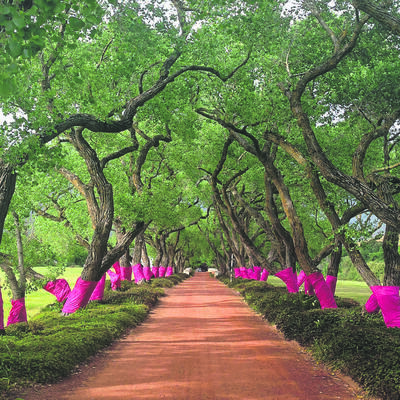 The Florida Rd UIP and the KZN CANSA Association want to wrap the trees on Florida Rd in pink fabric as a way to link to the Pink Trees For Pauline campaign that aims to turn towns pink, as well as marking Breast Cancer Awareness in the month of October. E-mail cara@urbanmgt.co.za confirming your involvement and further details will be sent to you. CANSA will deliver the fabric to the Florida Rd UIP who will wrap and unwrap the trees – please note that due to logistics, the UIP is only able to wrap trees along Florida Rd. The closing date for sponsorship is the 19th of September 2016, so commit now and help us turn Florida Rd pink!